Dunbar and Boardman: Who Built the First Solar-Powered Elevator? Who Built the First Solar-Powered Elevator? If you are a regular reader of this blog you’ll know that we like to highlight the people and companies responsible for industry firsts. This week is no exception, we return to the theme of solar-powered forms of vertical transportation. Given the desire of society in general and the vertical transportation industry in particular to increase our use of solar power as an energy efficient solution it is perhaps surprising that the first solar-powered elevator was installed as recently as 2013. It was Schindler who built the first solar-powered elevator during 2013. 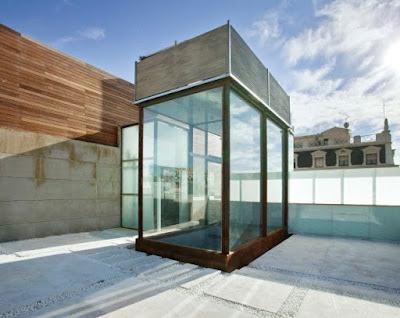 The solar-powered elevator was installed in a building in Barcelona and is an adapted version of Schindler’s 3300 model elevator. It can operate solely on solar power or powered by the grid or a combination of both. Schindler have been pioneers in the creation and then installation of solar-powered elevators in Europe and they also installed the first in America too. The first solar-powered elevator installed in the United States was installed at the Akridge commercial real estate firm in Washington DC in 2015. Schindler are at the forefront of solar technology. They are also a partner in the Solar Impulse Project, which is a project developing a solar powered aeroplane to fly around the world. Solar panels are installed on the roof of the building to produce the power for the elevator. The size and exact specification of the solar panels was determined only after the anticipated passenger traffic and energy usage has been estimated. The solar panels capture energy that can be used immediately or stored in batteries or resold to the national grid. Solar-powered elevators are able to work off stored power in the event of a power outage. What are the Benefits of Solar-Powered Elevators? A solar-powered elevator reduces energy costs and avoids peaks in power usage that usually occur at the start and end of the working day in commercial buildings. In addition, solar-powered elevators can continue to function using stored energy in the event of a blackout. The solar power system is less expensive than other systems. Dr Andrew Unterweger is a very professional man which is working in real estate field from many years. Sunergy Pacific (Bigham Services, Inc.) is a premium contractor of Solar Panels and Solar Power System in Santa Rosa, CA. oh wow. very interesting. your post it is very informative and interesting. Who built the First Magic Carpet ® Ski Lift?